Guess what? Dial, my favorite body wash brand is at it again with a new excellent product.. Dial Sugar Cane Husk Scrub Hand Soap! This deep cleansing hand soap is the newest member of the Dial Boutique Collection Hand Soap line, bringing luxury to you hand washing experience. With an indulgent scent inspired by freshly cut Sugar Cane, this premium formula with gentle micro scrubbers cleanses deeply while moisturizing and smoothing skin. The Dial Boutique Collection also includes Water Blossoms, Coconut Lime Verbena, and Yellow Raspberry & Black Sugar. I wash my hands often, it's a routine. Same goes for my fiance and girls. I'm always looking for a hand soap that won't dry out our hands and something that easily removes dirt because what good is a hand soap that doesn't do the job correctly? Well, with Dial Sugar Cane Husk Scrub Hand Soap, not only do my hands feel soft and smooth, they smell terrific! I know now why Dial is naming this incredible hand soap a luxury hand soap, it's like getting a hand massage every single time I wash my hands. I am love with Dial Sugar Cane Husk Scrub Hand Soap and I'm confident you will love it too. But wait, there's more! One (1) of you are going to win a coupon for a FREE bottle of Dial Sugar Cane Husk Scrub Hand Soap! This giveaway is open to residents of the US only. Ends 4.2.15. DISCLAIMER: The Dial brand provided me with a sample of Dial Sugar Cane Husk Scrub Hand Soap in exchange for a product review. All opinions stated are my own and are not influenced by any affiliates. That scrub looks great! I love Dial products, so I'll definitely be giving this a try. I am totally going to pick some of the up the next time I go shopping. I love Dial products and I bet this smells awesome. I'm a total handwashing geek. They preached handwashing to us in nursing school and it's something I've preached to my kids as well. 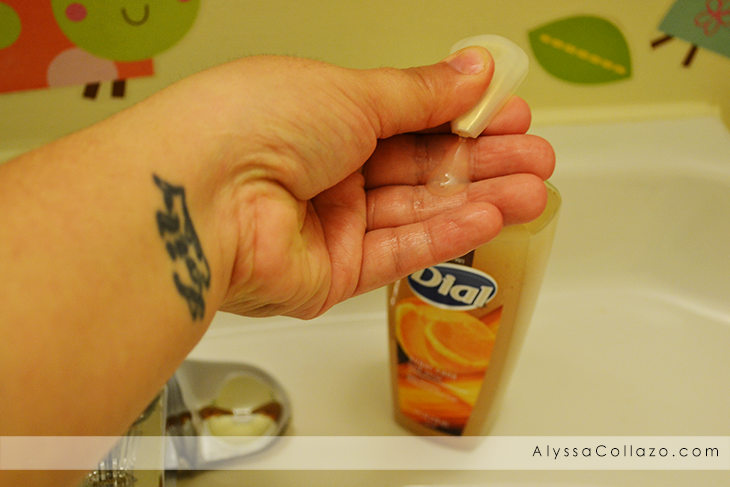 I've always used dial because they work without drying out our hands. I haven't tried the Dial Sugar Cane Husk Scrub Hand Soap yet but I will. Thanks for sharing. I'm still thinking about this soap after seeing it earlier today. I'm going to have to run out and look for it. I love sweet scented scrubs! Sounds like a great product, love that it does not dry up the skin after use. I am yet to see that brand in the UK. That scrub could seriously come in handy for the tough grease on my hands after grilling. I bet it smells wonderful too. I would like to try the Water Blossoms scented hand soap. 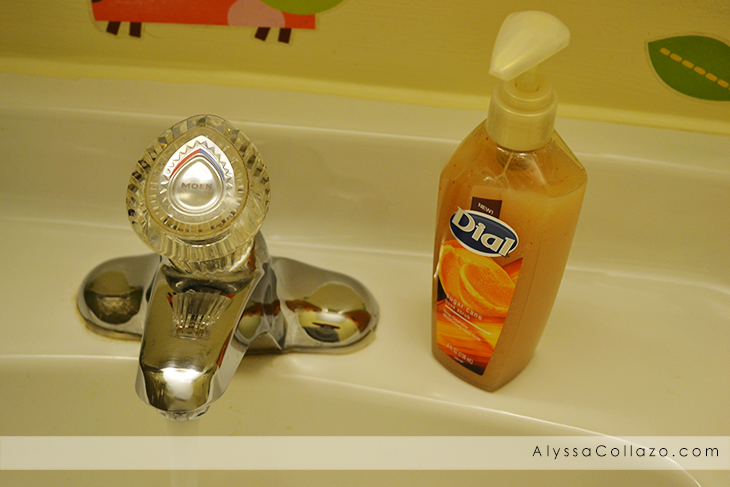 I love Dial products and I love this hand soap. I love how nice it makes my hands feel. Dial is one of my absolute favorite brands for soap. My kids pick Dial every time I let them too! Love Dial and this hand soap. Smells so wonderful and cleans well. This soap seems much more moisturizing than the ones they sell at Bath & Body. I'll have to pick some up next time I get to Target! Dial is my go to brand for soaps!!! Definitely going to be looking for this next time I'm shopping! I haven't tried this but I have been reading great reviews about it so I am curious. I will buy one w next time I go to the store. I have Dial soap at all of my sinks. I love that it does not dry out my hands. I will have to try Dial Sugar Cane Husk Scrub. I love the scent of the sugar cane! It’s honestly one of Dial’s best scents! That does look like a really great scrub. Dial is one of the few that I can use that won't irritate my skin. I love the sugar cane scent in general so I'm sure I will love this soap. Dial products have always been some of my favorites to use, it never dries me skin. I keep hearing about Dial and of course I can't get it here in the UK:/ It sounds like a fantastic scrub! Power Berries Foam is my favorite. I like the clear foam hand soap. I think I would love the coconut lime verbena! I have never used a hand soap with a scrub in it (other than Lava - remember that?). But this sounds really neat. I am going to give it a try. We'll LAVA ya clean! Ha! I'd forgotten all about that stuff. Might as well have been using sandpaper on your hands. The Sugar Cane scent sounds great! I got this too, it smells so good and dial has some really amazing products! I am a fan of the Water Blossoms Dial soap - I love the way that it smells. That scrub looks great! I've never tried it before but it sounds amazing! I love dial and scrubs! This product looks like it smells delicious. Great giveaway too! I love the products from Dial because I can trust the brand. I bet this smells so good and makes your skin so soft.